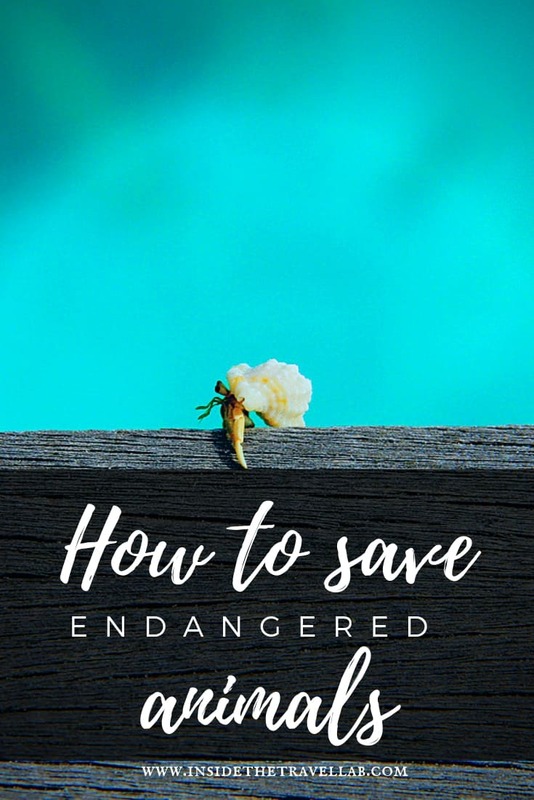 The question of how to save endangered animals is one that cannot wait. Yet unlike many aspects of sustainable tourism, this is a problem with a pleasant solution. It’s amazing how much you think about space when do you don’t have any any more. When you’re cramped on a train. Pressed tight in a crowd. Or peculiarly, when faced with such a wide expanse of natural space, of incredible beauty, that you cannot venture into unarmed. Now, right now, as I’m typing this out in Kenya I’m overlooking such a magnificent expanse of land. Plucky acacia scratches at the red earth…and yet it’s not safe to step out alone. This is lion country. And leopard. Rhinos, elephants and herds of angry buffalo. I can’t see them. But they're there. But even these great creatures have problems of space. Despite the hills and the mountains that lead from Sasaab to the lush green gardens at the foothills of the Aberdare mountains, space is a problem here in East Africa. Space for a growing population. And space for the animals that every school child loves to name name. The destruction of essential habitats is one way in which a species becomes endangered. Poaching is another. Rhinos I knew were in trouble. Tigers too. Both are predicted to become extinct by 2025. As in, five years from now. Like the great space before me, it’s hard to take in. The survival of these species matters more than just having cool things to look at. As shark conservationist Mike Rutzen explained, the survival of the animals at the top of the food chain reflects the health of the ecosystem beneath it. In other words, we’re all in trouble without our sharp-toothed friends. So, I’ve been asking experts across the world what we can do to help. "Education is the most powerful weapon you can use to change the world." Nelson Mandela. Which animals are endangered? What is their biggest threat? Why is that happening and what is the biggest intervention that would help? I'm gathering resources over on Pinterest and making a Twitter list that you can easily follow. Act Today: Sign up to at least one service to keep yourself better informed. Act Today: Share the information you just learned. It's easier than ever before now in the era of social media. But talking to people works as well as it ever did. Just don't buy the ivory or the tiger parts. There. Easy enough! But it's nowhere near as effective as the next part... And that's nowhere near as important as the 5th and final one. Are you ready? Act Today: Do nothing! Feel good about it :-) OK, boycotts are a little strange and feel like a cheat but they're still worth mentioning. Look, to get serious stuff done, you need serious people doing serious things. Things like lobbying governments, conducting robust research that spans decades, sharing said research in a peer-reviewed setting and implementing international agreements. That's not so easy to do. But it is easy enough to donate to the organisations that do it on your behalf. I'm building a robust list of international and hyperlocal groups (bearing in mind that no-one's perfect.) Check back soon for the update. Act today: donate to an organisation because sometimes organised activity is necessary. "It's all about the money, honey." Look. It's so, so easy for someone sat comfortably in a luxury hotel to look at a cute looking animal and despair about the threat of extinction. Just stop hunting! Just stop poaching! But, clearly, the issue is a lot more complicated than that. In many of the areas where animals are under threat, the local people are under threat too. And let's be honest, how many of us would choose between seeing our children starve or be sold vs breaking a law that protects endangered species. That's why punitive legislation can only be part of the solution. Boycotts can only be part of the solution. At Giraffe Manor, giraffes swoop their heads through guest bedroom windows if they're curious. It's part of a project to save the critically endangered Rothschild giraffe. 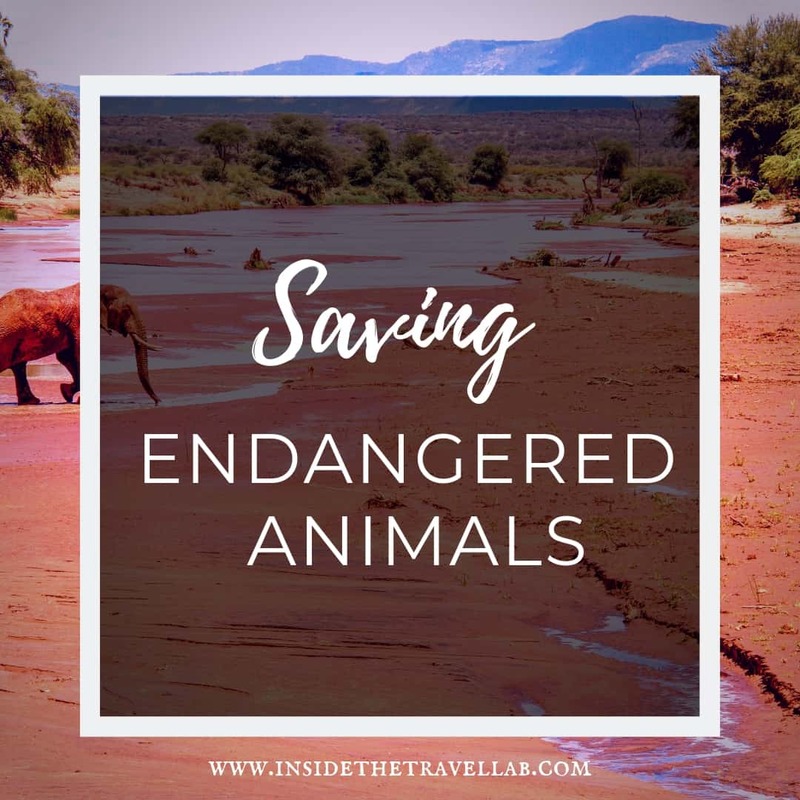 Tying in with the whole premise of sustainable tourism, the aim should be to find a way of making it worth people's while to protect these animals here and now, not just in an abstract future they may never manage to reach. And tourism is expertly placed to make it happen. It is the biggest industry on earth and directly, physically reaches into many of the areas affected. Time and time again, I hear the same message: go on safari with reputable companies. Ones that treat the environment well, treat people well and treat the animals well. In other words, make it clear to anyone who takes just the flitter of a passing interest that these animals are worth more alive than dead. And that they, like everyone else…need space. Act Today: Go on safari. But make it a reputable one. Make animals more valuable alive than dead. The message remains the same, whether talking to safari tour operators, ecologists, locals or the WWF. 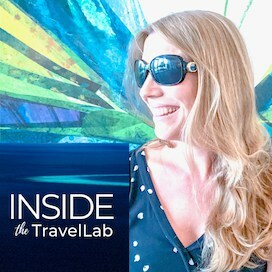 Hi, I'm Abi, a doctor turned writer who's worked with Lonely Planet, the BBC, UNESCO and more. Let's travel more and think more. I hope to one day read an article where rhinos and poaching aren’t in the same sentence. It’s just so sad to think that we can be so cruel to such beautiful creatures. The frustrating thing is that we aren’t even trying to balance two difficult things (say, if a rhino horn actually DID save human lives.) They’re being killed for such shallow reasons – and often in very brutal ways. It’s very sad to think that when these creatures are gone, they are gone forever. Way too many people don’t think about this. We need to turn things around and educate people on these subjects. Hopefully things can change and these animals will be around forever. I hope they’ll survive too. We need to spread the word! Protecting animals I think comes down to educating the locals and the other challenge is those that are paying outrageous money. The influence of money is a sad thing. Hopefully it will change otherwise we will not have some of these precious animals. I can understand the influence of money – especially if your living conditions are making even basic survival difficult. So the way to tackle it, I think, is to make sure that there’s more money available through conserving animals than killing them. Let’s aim to stop the poaching trade and increase responsible, sustainable tourism. Fast. Agree totally with your last comment Abi (beautiful article by the way) education is the way forward, and not to forget that here in the UK people still kill animals for sport and many of our animals and birds are on the danger list re extinction. Many of our small birds are trapped on their migration routes in countries like Malta and Crete and eaten as delicacies in expensive restaurants. I didn’t know that about the small birds, actually. Something else to investigate…Thank you for the heads up. Really great tips, I haven’t been to Africa yet but I’ll keep these in mind. Finally – a good reason to go on safari! I certainly have a new appreciation for the plight after going on safari last year. Having seen these animals in the wild makes the impact of poaching that much more real. I felt in mixed minds about it. Going on safari within a game reserve pretty much guarantees you’ll see SOMETHING (which is great when you have limited time.) But it does also camouflage how rare these creatures are…I remember spending DAYS driving around looking for tigers in India. That, for me, really hammered home how endangered they were. But either way, glad you have a new appreciation for it! What an experience. Thank you so much for helping to spread the message that education is key to helping these endangered animals. Nice post! We too have had our minds blown at all the various ways humans have decided to exploit animals: elephant rides and shows in Southeast Asia as well as circuses in North America, gorilla poaching in parts of Africa, turtles being starved for cosmetic creams in China and of course the list goes on. Very interesting point about space – we think this will become an ever bigger issue as the human population of the earth continues to grow. Might get harder and harder to have a private conversation. So many of the great African animals now on the endangered list or close to being on it. Shoot wildlife with a camera not with a gun. Such powerful animals! I really hope we manage to save them, I support a lot of comments before me. Hi, I'm Abi, a doctor turned writer who's worked with Lonely Planet, the BBC, Nat Geo Traveller, UNESCO and more and travelled to over 60 countries. Let's blend sustainable tourism with luxury travel, food with World Heritage Sites and history with having a good time.